Colors Bangla has adapted Color’s drama ‘Uttaran’ which airs on Colors. 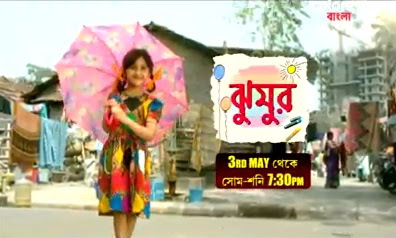 Titled 'Jhumur', the new adaptation is set to air on Colors Bangla from 3 May onwards, every Monday to Saturday, at 7.30 pm.The show will replace Ki Kore Toke Bolbo. The serial will throw light on the friendship between two girls namely Jhumur and Nayanika. Both belong to two different economic backgrounds but are intrinsically bound by fate forever. Hope, happiness spirit is what defines Jhumur. She finds happiness in the simplest of things. She wants what every child wants but is also sensitive to her mother’s woes and limitations.